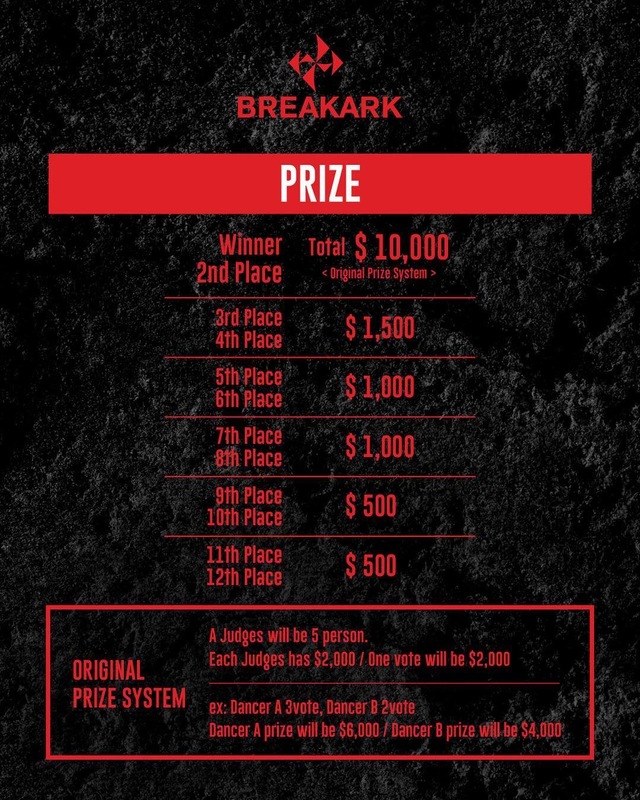 You can get prize money when you get through to the final at BREAK ARK. 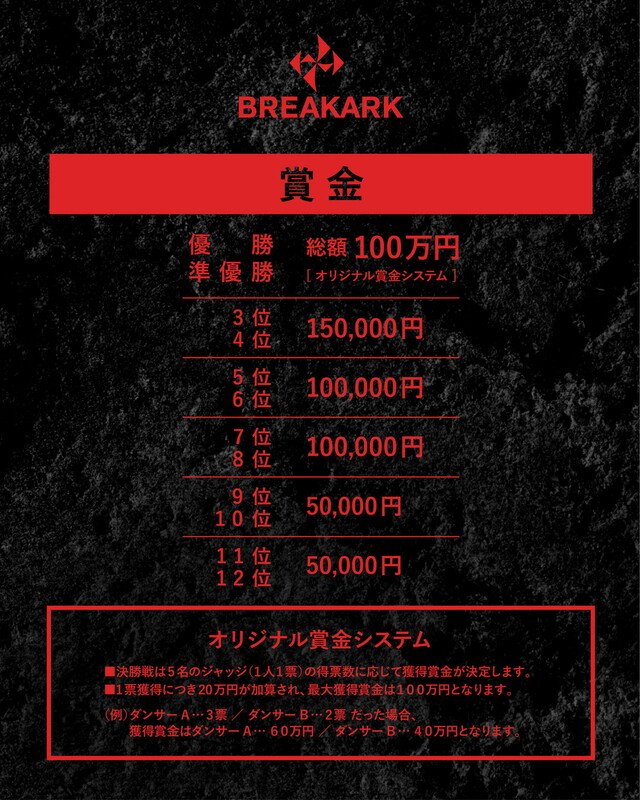 1st Place and 2nd place, it will BREAK ARK original prize system. A Judges will be 5 person. Who will get this big prize money at BREAK ARK! ?